Discussion in 'Model X: Driving Dynamics' started by Zippy_EV, May 29, 2018. I need to haul five bikes around. Before buying the Model X I put four bikes on a 1up rack and put one bike on a roof rack. Roof racks don't work well on the X so now I'm looking at trailers. Yakima is the best trailer I've found so far (I'm open to other suggestions.) I liked the fact that it is aluminum, breaks down for storage in the garage, suspension, etc. My experience with towing prior to the X was none. So this is from that point of view - now having towed various trailers for a year and thousands of miles. I prefer a trailer that's roughly the same width as my X. It makes it easier to navigate. I know for a fact that (early on) it's still there and I didn't lose it. That if the X fits, I fit. And in general, it's following the same track/path as my X. Depending on how far you tow, etc. Those yakima's seem to be very light duty and best suited for local. For efficiency, the 66" should be more efficient than the 78" but it wont be all that bad since it's still smaller than the X width. For space conversation, take a look at Kendon trailers. More suited for motorcycles, but they fold up nice and compactly. 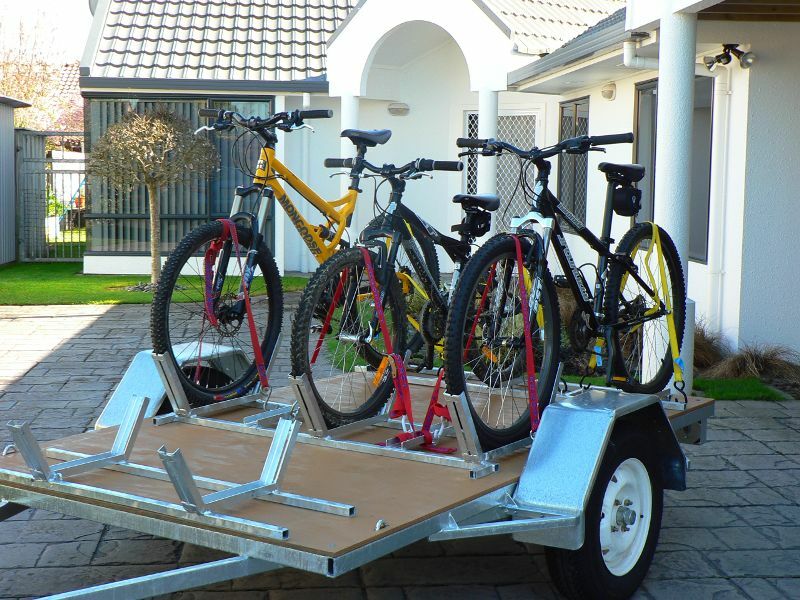 The other option is to pick up any lightweight, space saving trailer of your liking and then pick up a ProRac or something similiar. That would give you a ton more options too. @Zippy_EV: I have been searching for the same information as you and have had little if any luck getting a straight answer on this. The trailer seems like it would be a great fit if it works on the highway. But I have not found anybody, yet, who actually uses one to give an answer. If you get some good information, please post a response to this thread. I will do likewise.